Research Institution and Multi-Family Housing Development. Clifton, Ohio. 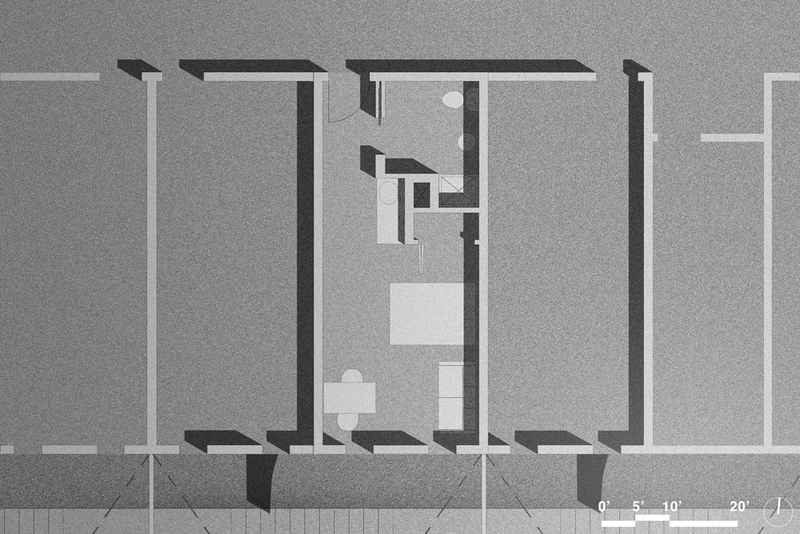 Third year studio, University of Cincinnati. Instructor: Bob Burnham. The proposal for a mixed use development occupies a complex site, sitting on the seam between the University of Cincinnati and the surrounding neighborhood. 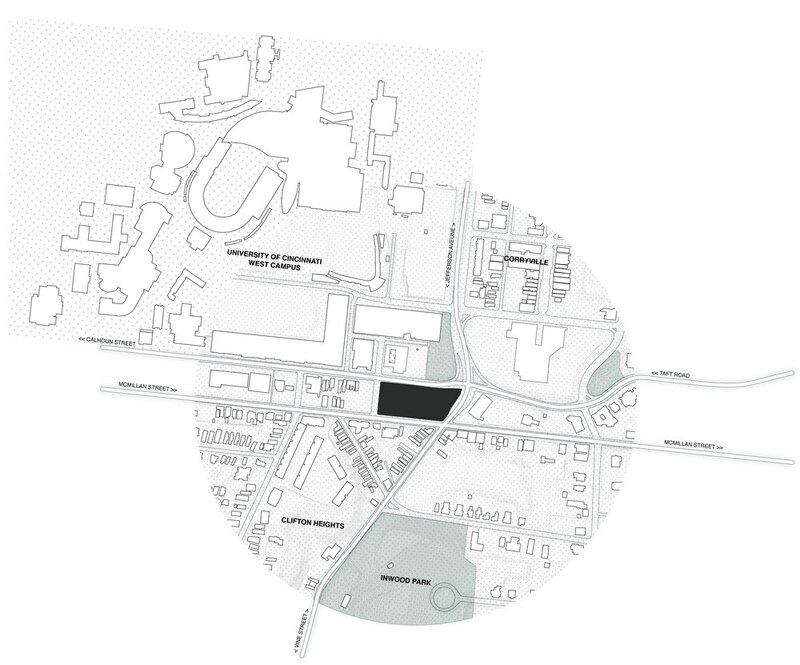 In a roommate situation, separate and dissimilar program pieces share the same site, to make the significance of this location visible to visitors as they enter campus via car from the interstate. 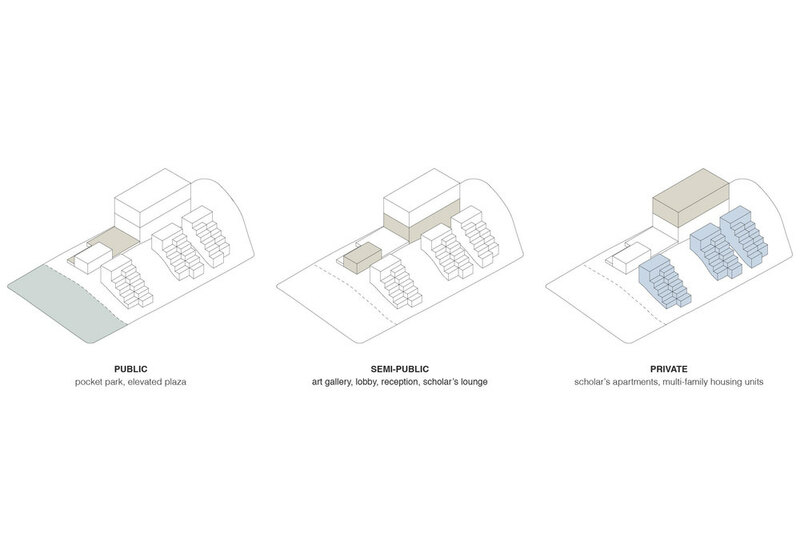 Academic institution, scholarly housing, and public exhibition spaces orient themselves East/West parallel to the campus edge while multi-family housing orients itself North/South to maximize exposure to the sun. 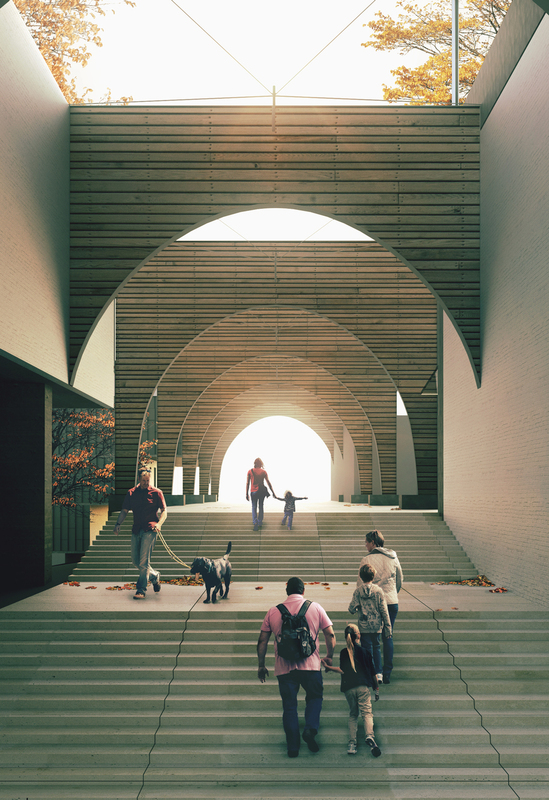 An enfilade of arches acts as the practical binding agent between the program pieces but still visually exposes the seam in between terraced housing and a blocky institutional building. 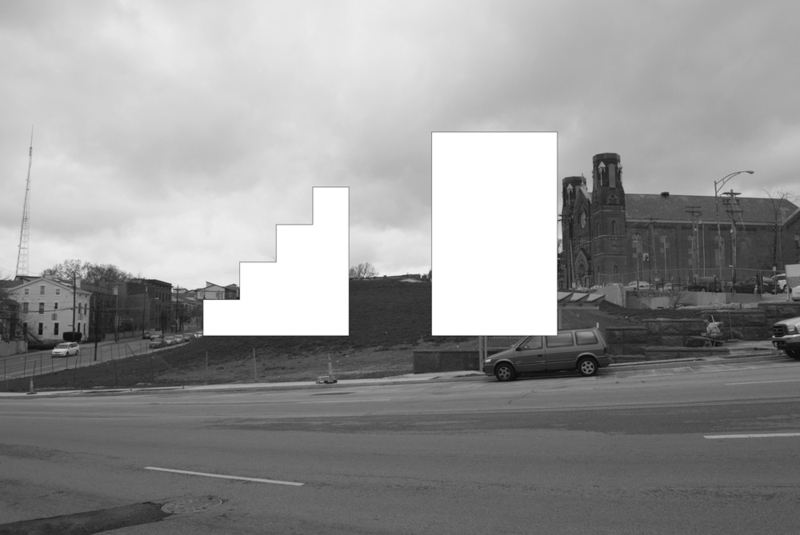 On the Eastern edge of the site, a rigidly composed elevation attempts to exert its presence on a malformed intersection and distinguishes each program piece from one another. 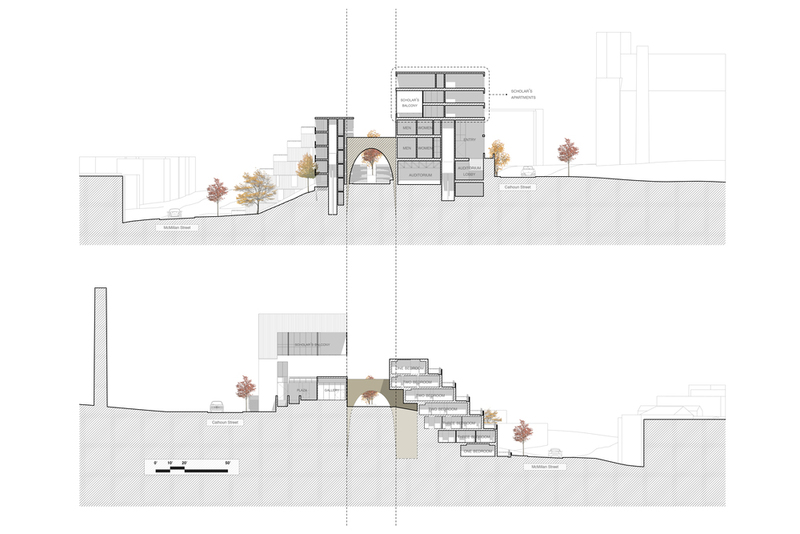 A pocket park to the West softens the edge between the institutional building and campus.